Do you usually find it inconvenient to fish in tons of stuff inside your bag just to looking for a lighter and cigarette to have a smoke? Let alone in some cases, your cigarettes might be break down, deform or decrease quality because of poor caring condition. Derived from such situations and demands, lighter pouches in general speaking and zippo pouches in particular have been made. There are many types with different functions. For examples, some come up with a few compartments for lighter and cigarettes, some are attached with a clip to easily hang on your belt while others have more spacious space for more stuffs. Not saying that, it can be a badass fashion accessory to show up your characteristics and personality, as well. If you spend some time to invest for a good lighter/zippo pouch, it will serve for years and enable to turn any man into a gentleman with cool and strong outlook. If that’s what you are seeking, don’t miss out this article. 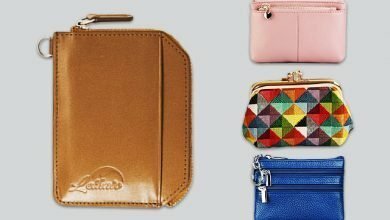 After dozens of searching, we finally come up with this best Lighter Pouch collection that definitely you can pick at least one for your next wardrobe accessory. They said leather is a men’s best friend. That’s why our collection will start with a genuine leather zippo pouch. Going outside in, its high-quality texture offers both striking outer performance and superb durability. Take a closer look, you will find the pouch is double stitched sturdily. It is designed to fit neatly with a regular zippo. Obviously, there will be many kinds of zippo out there on the market. 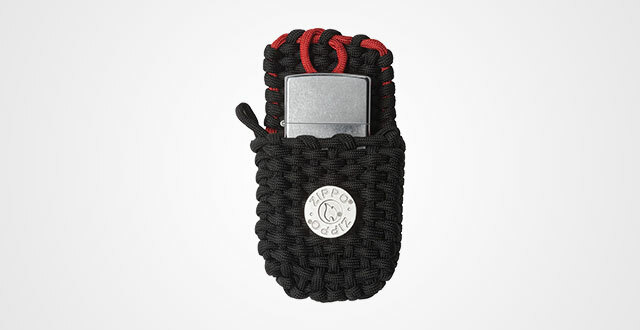 But don’t worry when a bigger zippo might be tight in this pouch as its material is leather. After a while for breaking in, it will suit your zippo. There is a magnet strap to keep the zippo in place without falling out and a smart strap to quickly get it out when in need. 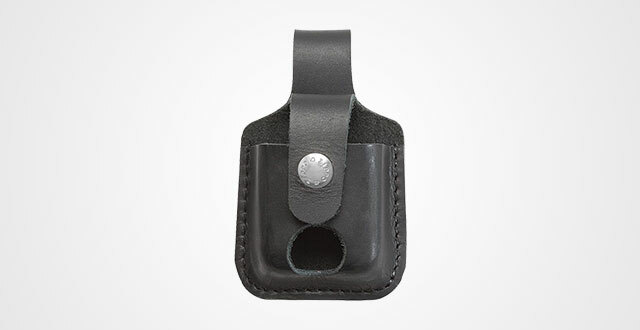 If you have a habit of attaching the zippo on your belt, this pouch is perfect as it has a tumb notch on the backside. Even, if you would like to hang it to somewhere else, it is possible. In cases, you intend to buy it as a present for someone, just go ahead as the manufacturer is also thoughtful enough to enclose an environmentally friendly gift box as well. If you are an active person who usually takes part in many different survival outdoor activities like camping and hiking, go check this zippo leather pouch now. Its material is a 5mm woven nylon rope that when being unraveled, its length reaches 26 feet. Figure a powerful rope, you can make use of it for lifting up any subjects weighing up 450 pounds without being torn. 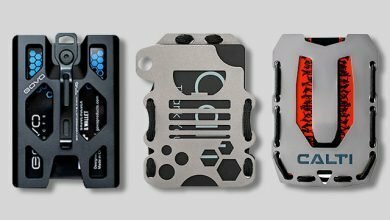 Back to its basic function – zippo protection. 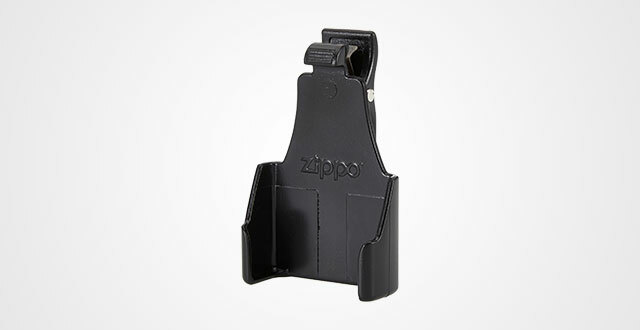 The pouch hugs neatly any kind of zippo as you can adjust its measurement. Hence, there is no specific dimension of this zippo pouch. You want it small, it’ll be small. You want it big, it’ll be big. As you can ravel and unravel the pouch, it doesn’t come up with a clip as the above design. However, in turns, there is a belt and clip loop for easily attaching to your waistbands, belts and pockets. Also, for ultimate closure, there is a button on the front. If you don’t like such zippo pouches with a snap as such design might cause scratches on your expensive zippo, consider this Zippo Z-Clip Lighter Belt Clip. It is a full-enclosed housing pouch that surely doesn’t ruin your lighter. It is also suitable for those who are fond of chromy and shiny things as this pouch is made from high-quality metals. 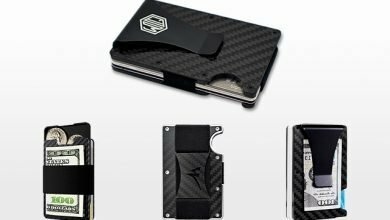 Its full-black, high-quality textured and sturdy design makes the whole zippo pouch look really cool and powerful. There is also a plastic clip on the backside to easily hang itself anywhere, from waistband, pockets to your belts. But just keep in mind that your zippo might be opened up sometimes when you get out the car because of the pouch swiping the steering wheel. But it’s okay at all. A lighter holder, a cigarette keeper and a can cooler, this is a creative all-in-one item that not only serves to your last sip, but also helps to keep track your everything mattering in life. Moreover, this Can Chuggie also includes a bottle opener, which is efficient. For those who are wondering about its material, it is 3mm high quality neoprene. But take notice that this is not the cheap foam. 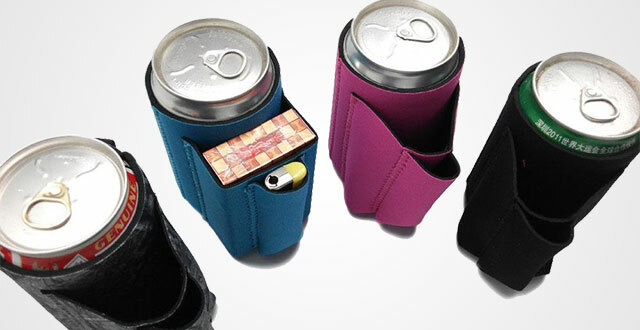 Particularly, such Can Chuggie enables to be collapsible so that it fit neatly in your purse or back pocket. There comes up to various color options so that both men and women are all suitable for it. As every customer will have different taste, which means a single product can’t afford all. That’s why the manufacturer also offers a guarantee so that in case you don’t like it, just return it for full refund or replacement. If you have a habit of using tobacco pipe for smoking, there must be many things to take care than just a lighter and tobacco, right? 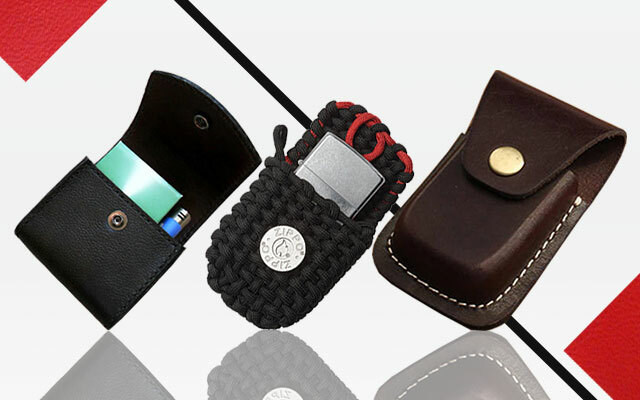 For those who are seeking a sturdy pouch to keep all your tobacco pipe, smoking pipe, pipe tamper tool, lighter and something like that in place for better caring, we highly recommend this Ylyycc leather lighter pouch. 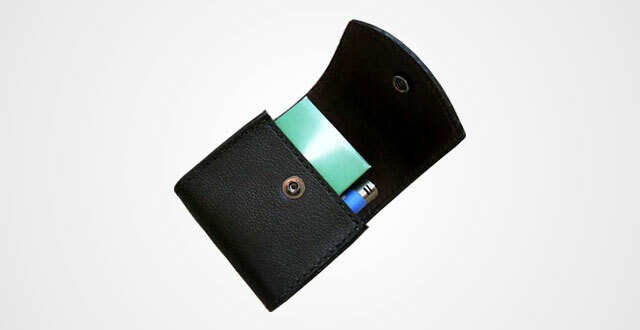 It is secured by a zipper and enables to fit 2 tobacco pipes at the same time. In addition, there is an accessory bag to keep your lighter and pipe tamper tool. 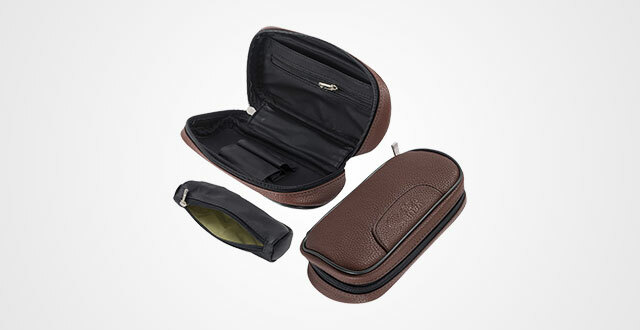 Take a closure look, you will see that this pouch has tobacco moisturizing liner bag. Its material is high-quality leather so you can ease in mind about the ability of wear-resistance, waterproof and durability. Besides, if you know how to maintain the leather properly, it surely serves you for years and even gets better with time. The whole pouch is compact and portable to not take much space in your bag and also be easy to bring anywhere. The all-brown design combining with genuine leather gives a beautiful vintage and classic look, more perfect for gentlemen. A lighter pouch also plays a role of a key chain, very efficient. This small item can be a meaningful present for your dad, brother, friend or lover as well because it meets two basic requirements: good look and practical. A lighter is like an inseparable thing for smokers so that adding a key chain to its holder will help this tiny thing stay along with you anytime. It can be attached anywhere needed like belt, key chain, sun visor, waistband. Also, thanks to its compact and small measurement, you can place the lighter holder in either your front and back pocket easily and comfortable with minimum bulk. In terms of the material, this lighter holder is made of genuine rugged rustic leather with high quality to only get better with time. In addition, it is 100 percent handmade by well-experienced artisans to deliver the highest performance and durability. You can ask them engrave your message on the lighter holder to make it more unique and cooler, which is perfect to be a present. Especially, it’s totally free. 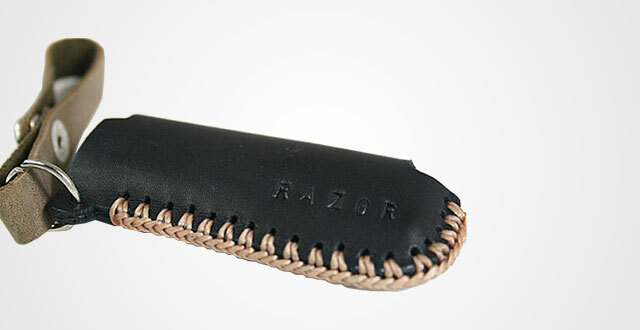 This lighter case is made from 100 percent wet molding real full grain leather that gives a unique, distinct, vintage, attractive, stable and timeless features. It is measured 8.7 cm long and 5.5 cm wide to fit perfect to reusable metal lighter and other ones with similar size. The whole case is hand made 100% with a main pouch with snap closure and a clip on the backside. Don’t worry about the button strap causing scratches on your expensive lighter as it is measured exactly to give full coverage and high protection. The distinct leather combines with moderate shine of metal and contrast lining, which delivers a perfect look. With the clip, you can attach the pouch in either your pockets or belts due to your preference and demand. To meet such demand of keeping both lighter and cigarette in same place for easier use, this design is a perfect match. The pouch is completely hand crafted by the best artisans and made from dark brown cowhide leather to offer not only a beautifully vintage outlook, but also the highest quality and durability. The general dimensions of this pouch are 10 cm long, 8.5 cm wide and 3 cm thick, fitting well to standard lighters and a pack of tobacco. However, as this is stitched by hand totally, you can ask the seller for different color lining and size due to personal taste and your lighter. For those who are owning a Bic Lighter measured roughly 3.1″x1″ and looking for a snugged case to protect it, this lighter pouch is my high recommendation. You can’t go wrong with this cowhide genuine leather lighter case with strikingly soft and smooth texture alongside with great durability as it’s totally handmade and sewn with strong stitches. As made out of real leather, it’s stretchable and getting better with time. However, kindly understand that this piece will take a couple of days or weeks to break in to get the perfect fit. On the other side, without lining inside, remember to glide your lighter in and out frequently to avoid it sticking to the material. One best thing about this product is that you can have it personalized with maximum 8 characters. 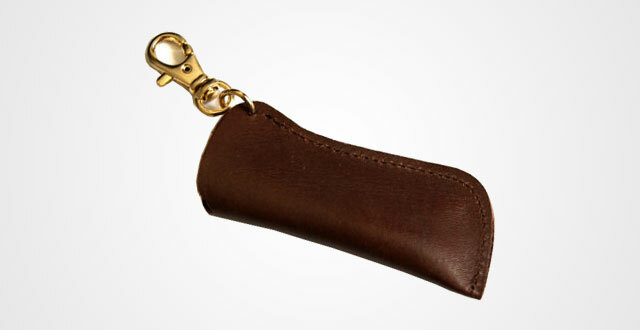 There is also a leather key chain so you can easily connect it with your keys or wherever needed. 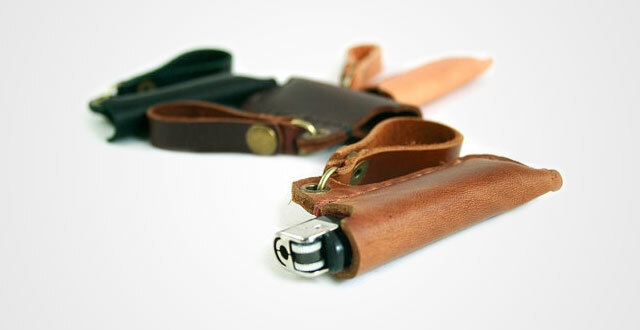 Another character black leather pouch for Bic Lighter. 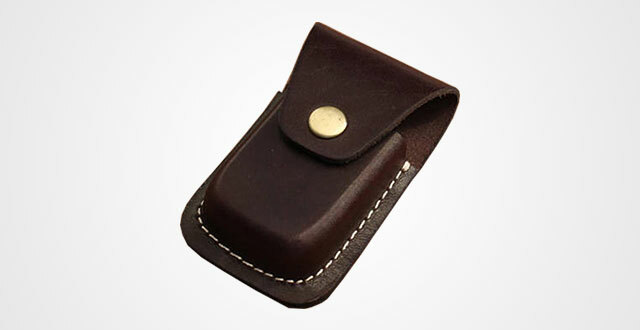 Again, it fits snuggly to any lighter coming in 3.1″x1″ size and is made out of 100 percent genuine leather. The material itself is very durable and longevity, but it’s even stitched with waxed thread for extra durability. A perfect piece that will serve you for decades! Again, you can personalize this case with maximum 8 characters. But the feature that makes it stand out from the crowd is the nicely contrast seams on black leather background as well as the character, grungy yet subtle key chain on the side. It does the best jobs of both a convenient key chain and an interesting emphasis for the lighter case. Very versatile! When it comes to a Lighter Pouch, there are two essential features that you should bear on mind: dimensions (to make sure it will fit well to your lighter and other stuff needed) and ability to protect your lighter (mostly based on the material, its closure, coated edges, etc.). They are all included in every single product we recommend in this article. 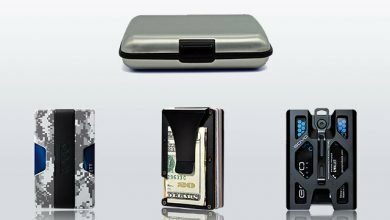 Hope that with various styles, designs, colors and additional functions, you will get at least one pouch for your precious lighter.